LAFAYETTE, La. 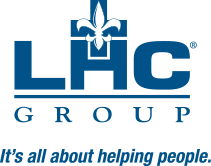 and DANVILLE, Pa. (April 2, 2019) – LHC Group, Inc. (NASDAQ: LHCG) and Geisinger Home Health and Hospice finalized a previously announced joint venture partnership to enhance home health and hospice services at Geisinger locations in Pennsylvania. The partnership includes locations in Danville, Bloomsburg, Wilkes-Barre, Northumberland, Montoursville, Lewistown, Lewisburg and Camp Hill, Pennsylvania. LHC Group has purchased majority ownership of Geisinger’s home health and hospice services and assumed management responsibility. The two parties are on track, subject to customary closing conditions, to complete a previously announced joint venture at AtlantiCare – A Member of Geisinger in Atlantic County, New Jersey by June 1. Working together, Geisinger and LHC Group deliver patient-centered home health and hospice services for those needing 24/7 access to healthcare in the comfort of their home and for patients in need of end-of-life care. The partnership will allow the two providers to expand and enhance the services they offer in these markets. Healthcare joint venture partnerships are a key component in helping patients manage their conditions and receive efficient and effective care. LHC Group and its partners deliver a level of in-home healthcare service that is recognized industry-wide for consistent quality. They provide affordable care options that offer the guidance, support, and resources patients and families need to make an informed decision for themselves or a loved one.